When it comes to the real estate industry, a lot of agents I meet are individual contractors. They work with their own schedules, manage their finances, deal with their customers and market their services. Many times these agents not only have to work by themselves, but also design their short and long term goals on their own. Moreover, there is no one to monitor or evaluate their performance either - which makes it a little more difficult to estimate their potential and capacities. Presently, the market for real estate agents is very competitive and I can’t emphasize enough on how important it is to have a coach. To be successful you need someone to guide you, evaluate your performance and if nothing else, at least motivate you to work harder! With my over 26 years of experience, I can tell you some of the key reasons why real estate agents require a real estate coach to mentor them. Read below! Many real estate agents are extremely sharp when it comes to traditional knowledge. They know a lot about what is going on in their neighborhood, the market dynamics in their locality and the client needs within their area. However, you can’t reach the heights of success if your focus and expertise is limited. It is very important to broaden your horizon and increase the market exposure. According to the statistics, the average age of a real estate agent in America is 57. But the market dynamics show that buyers are getting younger. Due to the increased qualifications and professional success of young people today, more and more millennials in their late twenties to early thirties are going to purchase of a home. This generational gap between agents and buyers is the root of all problems. Most of the real estate agents are unaware about contemporary ways of marketing. They don’t know much about technology and it proves to be detrimental for their work. For this, you need a real estate coach to help you with your technological woes. A real estate coach can assist in broadening your horizon and targeting various demographics with their experience and expertise. For fresh to mid level agents, it is very important to have a real estate coach. 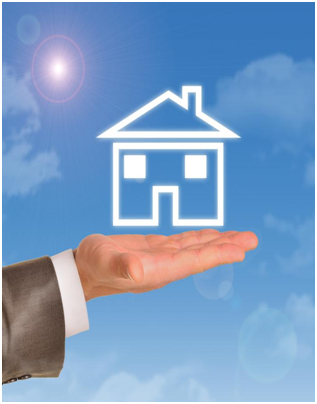 They will benefit the most from real estate coaching. A real estate coach will evaluate your strengths and weaknesses, help in understanding the next opportunity or threat you might have and act as a professional mentor for your field to guide you regarding what to do next. A real estate coach will also constantly analyze your performance, the market trends and design strategies that you should follow. You will also be able to scrutinize your short and long term goals. They will also guide you on how to turn your prospects in sales. Although there are countless reasons why you should have a real estate coach, this, I must say, is the most important one. More often than not, people lose their inspiration when working alone. The loss of ambition results in laziness, procrastination and lack of initiative and proactive behavior. A real estate coach will keep you motivated and help you understand the direction you are moving towards. I personally coach every agent in my corporation Platinum real Estate. For more information about coaching and career opportunities with Platinum Real Estate contact us at 404-994-4600. To know more about how a real estate coach help can you, read my blogs on Luther Ragsdale.com and Platinum Real Estate. You may also download my e-Book to better understand the real estate market. Subscribe to my YouTube channel if you want to learn about the latest trends. Also, register here if you want to attend my upcoming event.